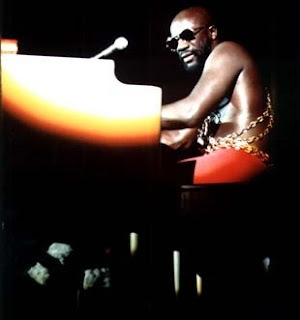 As we all know Isaac Hayes sadly passed away on the 10th of August 2008, he left behind 12 children, 14 Grand children, 3 great grandchildren and a loving wife. My condolences go out to his family and loved ones. Isaac began his recording career in the early 1960s, as a session player for the Memphis-based Stax Records. He later wrote a string of hit songs with songwriting partner David Porter, including "You Don't Know Like I Know", "Soul Man", "When Something Is Wrong with My Baby", and "Hold On I'm Comin" for Sam and Dave. Hayes, Porter and Stax studio band Booker T. & the MGs served as the main production team for much of the label's output during the early and mid-1960s. In 1967 Isaac released his debut album 'Presenting Isaac Hayes' which although an outstanding album was a commercially unsuccessful. His next album was Hot Buttered Soul, which was released in 1969 and showed Isaac's distinct sound (extended orchestral songs, heavy on organs, horns, and guitars, deep bass vocals, etc). On the album, Hayes re-interprets "Walk On By" into a dark and brooding twelve-minute orchestral exploration. "By the Time I Get to Phoenix" starts with an eight-minute long monologue before breaking into song, and the lone original number, the funky "Hyperbolicsyllabicsesquedalymistic" runs nearly ten minutes, songs of this length were totally unheard of in the Soul/Pop world of the late 1960s. "Walk On By" would be the first of many times Hayes would take a Burt Bacharach song, generally made famous as three minute pop songs by Dionne Warwick or Dusty Springfield, and transform it into an soulful, lengthy and at times dark track. 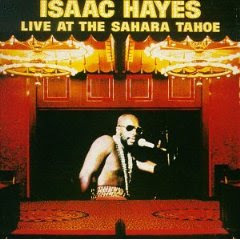 In 1970, Hayes released two albums, 'The Isaac Hayes Movement' and 'To Be Continued'. The former stuck to the four song template of his previous album. Jerry Butler's "I Stand Accused" begins with a trademark spoken word monologue, and Bacharach's "I Just Don't Know What to Do with Myself" is re-worked. The latter spawned the classic, "The Look Of Love," another Bacharach song transformed into an eleven-minute epic of soaring orchestral rhythm. 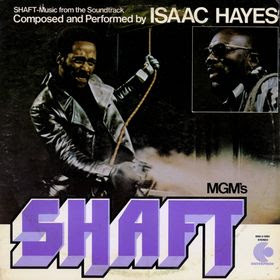 In 1971, Hayes composed music for the soundtrack of the film Shaft. The title theme, with its funky guitar and multi-layered symphonic arrangement, would become a his biggest hit single, and spent two weeks at number one in the Billboard Hot 100. The rest of the Soundtrack was mostly instrumentals covering big beat jazz, bluesy funk, and hard Stax-styled soul. The other two vocal songs, the social commentary "Soulville" and the nineteen-minute jam "Do Your Thing," would be edited down to hit singles. Isaac won an Academy Award for Best Original Song for the "Theme from Shaft," and was nominated for Best Original Dramatic Score for the film's score. Later in the year, Hayes released a double album, Black Moses, that expanded on his earlier sounds and featured The Jackson 5's song "Never Can Say Goodbye". This album is probably Isaac at his best and features amazing compositions and deep vocals. This is my favorite Isaac Hayes album. 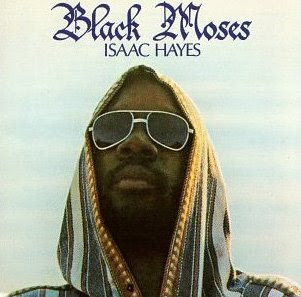 In addition to "Never Can Say Goodbye", other selections on Black Moses include covers of songs by artists The Carpenters (" Close to You", Toussaint McCall ("Nothing Takes The Place Of You"), The Friends of Distinction ("Going in Circles"), and Little Johnny Taylor ("Part Time Love"). Isaac has been sampled many hip hop groups including; Biz Markie, Snoop, MF Doom, Compton's Most Wanted, Public Enemy and the Wu Tang Clan (Isaac actually appeared on the Wu's 2000 The W album on the track I can't sleep which heavily sampled Isaac's Walk on by) amongst others. I have uploaded a vinyl rip of Isaac's 1973 album 'Live at the Sahara Tahoe' as a tribute. This album features The theme from Shaft, The First time ever I saw your face, Never can say goodbye, Ain't no sunshine, Use me and the Look of love amongst others. This is truly a classic album. If you enjoy this please take the time to buy some of Isaac's back catalog.